As some of my previous posts have hopefully conveyed, the expenses for putting a race together, especially one for ultramarathon distances, can be an expensive proposition. Unless you’re independently wealthy (and I don’t see Donald Trump as the race director type), you’ll likely need some help in the form of race sponsors. For the first Rim To Rim Trail Run, my primary focus was on obtaining local sponsors. I certainly wasn’t going to turn down any major companies, but since this was an inaugural event with a cap of 200 runners I knew it wasn’t realistic to expect a large amount of support from the big players. That was okay with me, as I really wanted to work on emphasizing the local appeal of the event. Chico already has a lot of personality, and Bidwell Park is a great place to host a trail race, so highlighting local companies as sponsors was a natural fit. My background is not in sales, marketing, or any other area that has given me a ton of practice cold calling businesses and negotiating deals. For any of you in the same boat, I have some good news: you’ll get plenty of practice once you decide to put on a race. Fortunately, dealing with smaller, local businesses is easy enough. The owners are just people, and are generally open to at least a conversation about becoming a race sponsor. Putting yourself out there still takes some getting used to for those of us that are a little more introverted, but all I can say is persevere. I had several folks who weren’t interested, but I never had anyone who was even the slightest bit rude about saying no. When approaching local companies to be a race sponsor, finding the right time can take some work. As a race director, I’m ready for folks to commit as soon as possible. I want to know as far in advance as I can, since it helps me plan and budget. However, some small businesses are not in a position to plan nine to twelve months out, and if you try to get a commitment too early they will default to a “no” when they might really mean “I’m not sure yet”. Try to be flexible; put out feelers and don’t be afraid to ask early, but if you encounter resistance it’s okay to back off and wait a couple months before reaching out again. Another lesson learned was to be specific, but not rigid, about what you are asking for from your sponsors. When I approached my first few, I did not have anything written up for different levels of sponsorship and what they could expect if they came onboard. I soon realized this was hampering my recruitment efforts, so I drew up a list of sponsor packages and put it on my race website. I don’t treat it as carved in stone, but it serves as a starting point for negotiations and helps set expectations for potential sponsors. While I keep my focus on local race sponsors, it still doesn’t hurt to explore larger, corporate sponsor opportunities. Most of the familiar brands have a process for requesting sponsorship that involves filling out a web form, sending an email, or mailing a letter. I went ahead with all of those methods, but it didn’t generate any interest the first time around. I will go through the same routine for 2016, and we’ll see how that plays out. As with anything involving larger organizations, the best path is probably to know someone who works there; the inside track always helps. The good news for year two is that I’ve now got a starting point; a list of sponsors who were at least willing to come on board once. This helps take the pressure off, at least for now. Time to limber up the phone dialing fingers and start again for 2016! This entry was posted in Planning and tagged business, race director, sponsor on September 28, 2015 by jdonnell. Race insurance and emergency medical services are definitely not on the glamorous side of race direction. Just as with regular life, paying money for insurance is the least rewarding form of gambling. The last thing you want to do is “win”, since that means someone got hurt. So you’re left having to hope for a best-case scenario: that all the money you spend goes to waste. The key here, like much of life, is to try and approach things with a healthy dose of acceptance. It’s the price of doing business in the racing world. There are many ways to get event insurance, but when it comes to running races the I found the most popular providers to be the Road Runners Club of America (RRCA) and USA Track & Field (USATF). In my informal research, the RRCA seemed to be the more popular, but I found their website difficult to navigate when all I wanted to do was apply for event insurance. 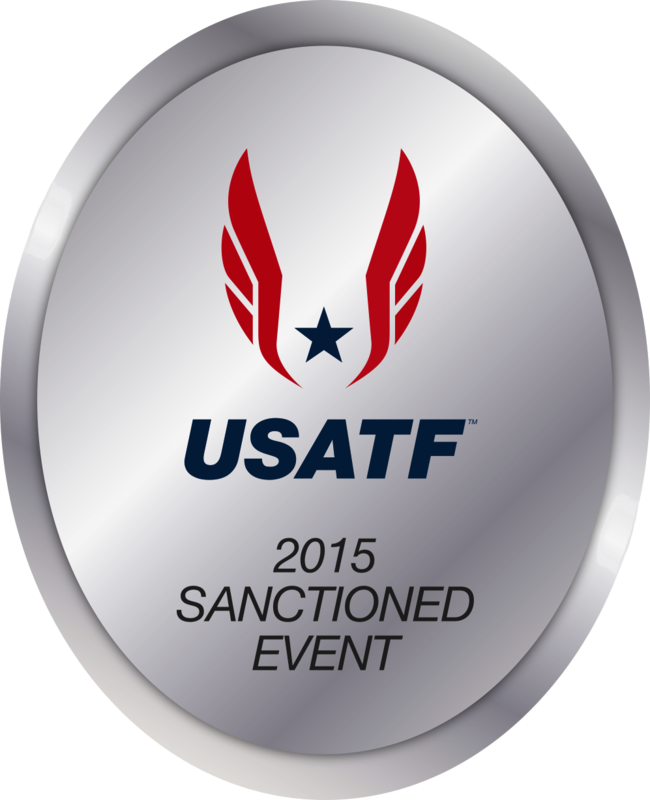 The USATF website is a little clunky, but it was straightforward to apply for Event Sanctioning. This sanctioning process includes obtaining insurance and agreeing to abide by some basic standards for your event. The price varies by region, but for me it was $150 and that includes a badge to display on your website and a listing of your event on their calendar. If all I needed to spend was $150 to have my event covered, I wouldn’t complain at all. Pay a one-time fee, and you’re all set. Of course, there is a bit of a catch. Any running event needs some amount of medical staff available in case of emergencies. In the case of USATF sanctioning, it’s actually required; they will not issue the sanction until they verify that you have EMS coverage. Since this was my first time needing emergency services on standby, I searched around on the internet. In some areas there are several companies, in others, like Chico, there is only one company that provides services. They do contract for events, and were available for my race day. However, because I needed them for about 12 hours, this was not cheap. In the end, I agreed to pony up and have the two EMTs and ambulance on-site for the full event. What might I do differently for 2016? I am going to look in to having EMTs available without necessarily using an EMS company. If I were paying private parties, there would be less overhead for them and, presumably, a lower cost to me. The potential downside to this is insurance. With the EMS company, all the liability insurance for their employees is completely covered. I need to make sure that I don’t assume any liability if I have independent EMTs treating my runners. For the 2015 Rim To Rim Trail Run, I’m happy to report that I made very little use of the available EMTs. While there were several incidents of scrapes and bruises from falls, one dislocated finger, and several folks with mild heat exhaustion, the majority of the runners crossed the finish line without incident. Even though it was hard to pay for the help, I was happy to have medical backup. For a rough and rugged course on a hot, humid day, it was worth paying for peace of mind. This entry was posted in Planning and tagged insurance, race director on August 25, 2015 by jdonnell. I, like many folks I know, am annually in denial about how busy and hectic the holiday season truly is. Travel, family visits, shopping trips, school vacations, and holiday parties all conspire to make for a crazy four to five week stint starting in late November. As usual, I did not accomplish everything I would have liked for the last month. But it’s not all doom and gloom because I did cross a major milestone: race registration is now open! Seeing as I have finally made it over the registration hurdle, I decided now would be a good time to write up some of the things I’ve learned. While there is no shortage of options for online registration companies, I was able to narrow down my choices early in the process. There were three major players that I considered: Ultrasignup, Active, and Raceplanner. Ultrasignup was an easy choice for consideration. They are the big name in ultramarathon and trail racing registration. If I’m looking for an ultra, that’s the first place I go. They also have a feature that tracks your results across all the races that Ultrasignup has on record and shows your relative ranking and projected times for new races. It’s not scientific, and sometime contentious, but it’s certainly fun and engaging. A strong choice all around. Active is an online registration behemoth. If you more than a couple races in a year, chances are at least one of them is on Active. They get plenty of traffic, and folks searching for events are likely to come there. They also have help for race directors, a ton of additional marketing info, webinars, and other goodies. These were all decent perks for an inaugural event and novice race director like me. Raceplanner is one of several smaller players in the online registration space. They don’t have the name recognition of the other two, but they have a solid history in the business and good list of clients, including a couple nationwide events like Girls on the Run. They also have one big advantage: they’re located right here in Chico, CA just a short drive away. A big goal for me with this event was making it a showcase for local businesses, so that last item weighed heavily in their favor. How much does it cost? And who pays? An important factor I didn’t mention above is the fee charged for using the service. These companies expect to be compensated, and the way that’s done is through a fee based on the price of your event registration. Active has the highest fees, coming in at 6.75% plus $1.25 per registration. Ultrasignup is a straight 6.25%, and Raceplanner is the lowest at 3.5% + $1.25. These fees aren’t astronomical, but they can be a bit galling to a runner. Which led to one more decision: should I absorb the service fee or pass it on during registration? Neither are ideal, but in the end I went with what seems to be the most common approach of passing the fees on to the participants. My race budget is a work in progress, but money is likely to be tight and passing on that fee gives me a lot more wiggle room for other race goodies. In the end, I decided to get the best aspects of all three options. For solid software, the support of a local business, and the lowest fees I went with Raceplanner for my official event registration. Even though I’m not using the Active registration service, I can still have my event listed on Active and available in search. Similarly, Ultrasignup provides an option to list an event without using their service (though their “price” is a free race entry) so I will be front and center for any ultrarunners searching for races next summer. As I write this, I’m still waiting for my first official registration to come through. It’s exciting (and a little nerve wracking) but I’m happy with the choices made and I think Raceplanner will serve me well. What do you think? Check out the event registration page, or the Rim To Rim website, and let me know in the comments. This entry was posted in Planning and tagged race director, registration on December 31, 2014 by jdonnell. I’ve got a few specific posts I want to write about everything from recruiting sponsors, to timing services, to event insurance, but it’s been too long since I’ve posted here so I decided to start with a more general post to keep everyone up to date. Since I secured the permit for my race, my first task was an update of the website. There’s still plenty to do there, but I’m happy with how things turned out and it will be easy to fine tune as things progress. I’m an information junkie, and whenever I’m interested in a race I love to get every last detail that’s available. While there’s always a danger of information overload when potential runners visit the site, I tried to strike a balance and organize things so that no one is forced to read everything on the site if they want to be a little more selective. As much as I like to pretend I can know everything ahead of time and plan perfectly, I’ve eased up on my inner control freak and made some best guesses that have allowed me to set the race fees. (Full disclosure: I still used a spreadsheet to run scenarios for different attendance levels and fee structures. My inner control freak wasn’t totally ignored.) With that done, I’m looking to get registration open by the end of November. Early birds, take note! Once I had the permit, I also felt comfortable moving into an active phase of recruiting sponsors. This is completely virgin territory for me. My work and life experience to date has not involved sales, promotions, or anything that requires this flavor of networking and recruitment. Moving out of the comfort zone is always a great opportunity for growth. And a great chance to flounder around learning as I go. I’ve started conversations with several local sponsors, and filled out a few online requests for some larger corporate brands, so stay tuned and I’ll write up my adventures in that arena. There’s been an array of other items that have been fighting for attention: additional emails with the city trying to figure out insurance requirements, getting quotes from companies who provide race timing services, looking into renting emergency medical personnel, and figuring out a marketing plan, and recruiting volunteers. My intention is to share it all with you, plus the inevitable 37 other things that arise over the next several months. Questions? Suggestions? Things you’d like to read more about? Leave a comment and let me know. This entry was posted in Planning and tagged race director, update, website on November 21, 2014 by jdonnell. Adventures in Permitting – Success! So if you’ve been following my Adventures in Permitting for the last 4 months, you know it’s been a lot of waiting with some bouts of work trying to get the permit for the Rim To Rim Trail Run approved. As of Monday, October 27, 2014 I can finally say that process is (more or less) done! The Bidwell Park and Playground Commission (BPPC) met and approved my permit, with some normal conditions about getting insurance and following park rules. It is an amazingly huge relief to have that hurdle cleared. I haven’t written much about the work I had to do over the last couple weeks, so I’ll give you the full run-down now. My permit application had come under scrutiny from the parks department here in Chico for a couple of reasons. I am a first time race director and this is an inaugural event, so it is bound to attract some attention. I was originally slated to have my permit reviewed back in August, but the Natural Resource Manager for Bidwell Park (where the event will take place) wanted to get some specific questions answered. His schedule is apparently pretty impacted, so even though I’d responded to the questions via email, he was not able to meet in person before the September BPPC meeting. We scheduled a meeting for early October, and I went back to the waiting game. On October 7th I got a chance to meet with the Natural Resource Manager as well as two park rangers to discuss my event. After some discussion, it became clear their chief concern was around the trails I was planning to use for part of the race, and the difficulty in accessing those trails in case of emergency. For me, this was frustrating since I run on those trails frequently, and it would be just as much of a hassle to get to me if I was injured by myself or as part of a race. However, it was clear to me that there would not be support for my event if the trail access issues were not addressed. Compromise was in order. I have had a very clear idea of the route I wanted to take for this race, even well before I began the process of getting a permit and making it an official event. Finding out I needed to alter the course, and in a fairly fundamental way, was more than a little frustrating. I tried to remain positive about it, and set to work rerouting the course. I had already made a change to the route based on road closures, and while this would be more significant, I knew I could make the adjustments and still keep the spirit and soul of the event. The day after meeting with the representatives from the park, I went out for a run, mapping some routes and figuring out mileage. I returned home and poured over the route information, adding mileage totals and putting the pieces together. A day later, I had the modified route proposal put together and sent out. Fast-forward another two weeks to today. I sat in the City Council chambers as my permit was discussed. I answered a couple of questions about the route. And then, in a 5-minute master stroke of anticlimax, my permit was approved. Success! Tonight I am celebrating. But now, of course, the real work begins. Securing insurance, finding sponsors, and marketing the event so I can get some actual runners are all on deck. I’ll be documenting it every step of the way, so stay tuned here, and keep an eye on the Rim To Rim Trail Run website. There will be so much more to come! This entry was posted in Planning and tagged permit, race director on October 28, 2014 by jdonnell. I’ve written about the permitting process a few times now, and my last update had me going in for the permit review on September 29th. Alas, things have been delayed one more time. I finally got a reply from the local parks department, and they had some additional questions they wanted to discuss before the actual permit review meeting. They’re willing to meet with me in person to talk through them, which is great, but that meeting won’t happen until October 7th. So… back to the waiting game. I will have the meeting on the 7th and, from there, I can get on the agenda for the monthly permit review in October, which will happen on the 27th. Just to recap the timeline, my permit was submitted on June 20th, so that will be four months since my initial application. I want to highlight how long this process takes, so that anyone considering their own race allows plenty of time for the wheels of government to turn and process permits. The recent cancellation of the Boulder Marathon due to permitting issues highlights how crucial it is to allow the necessary time and to actually follow through on permitting before you start collecting money from runners. I’ll continue to keep everyone up to date on how the process goes for me, and what I learn after my meeting with the city officials on October 7th. Wish me luck! This entry was posted in Planning and tagged permit, race director, update on September 26, 2014 by jdonnell. I have talked a little about permitting in my first post on the subject, and in my August update I indicated I was still waiting for the City of Chico to review my race permit. Well, I am still in permit limbo, but now there is a light at the end of the tunnel. I exchanged emails with the city’s Parks Department and, after a brief tease where I thought it would be reviewed in August, my permit is now scheduled to be reviewed at the end of September. One of the managers responsible for the permit review has some questions; I’m currently waiting to hear back on exactly what those are. So… in the next couple weeks I should hopefully get any outstanding issues resolved and be ready for a permit approval on September 29th. Everyone keep your fingers crossed! This entry was posted in Planning and tagged business, permit, race director on September 2, 2014 by jdonnell. On Sunday, August 10th I rolled out of bed to prepare for a weekend race: the Summer Sizzler 5k & 10k put on by Fleet Feet in Chico. In this case I wasn’t on the roster to run, but had volunteered to help out instead. Volunteering has a nice set of benefits for me. In addition to the good feelings that come from helping out a local event and cheering on hard-working runners, I get to view the event from my would-be race director perspective and see what lessons I can learn. I volunteered (via email) a little later than I had intended, but the Race Director was still in need of course monitors. She replied with an email to the volunteers, and I received a list of the course monitor stations along with the volunteer assignments. We were instructed to all meet in the morning before the race start, and she made sure everyone understood where they were stationed and how they should be directing the runners. The communication was handled well and it turned out to be a good idea to gather the course monitors together before the race. I know the area and so the directions in the email were clear enough, but there were several volunteers who needed additional information on how to get where they were going. My station was an intersection on the course that the 10k runners ran through twice. They turned one way on their way out, did a short loop, and then had to turn back the way they had come. It was not horribly confusing, but it was definitely something that required guidance for the runners. Having course monitors stationed there was the right call. Unfortunately, there was one glaring omission: no course markings. Course marking on a long trail run is something I think about frequently. I run my proposed race course quite often and I try to look at where the “must have” spots will be for marking the twists and turns. For a trail run where placing markers may involve long miles on a bike or on foot, coordinating the placement and removal will take some effort. However, for a 10k that is mostly on pavement, putting some chalk markings down or putting up a small sign should be extremely straightforward. I made sure to email the Race Director, so hopefully it can be easily remedied next year. All told, I’m grateful I had an opportunity to help out, observe, encourage, and just plain be out on a beautiful Sunday morning for a couple of hours. All my best to the Summer Sizzler runners, organizers, and volunteers! This entry was posted in Race Report and tagged race director, volunteer on August 14, 2014 by jdonnell. With the start of a new month (plus a day or two), this seemed like a good time to do an update on the progress of the race and the state of my blog. The good news is that I haven’t been idle in the meantime. I recently ran the SOB 50 mile in Ashland, Oregon and posted a report of my adventures. I’ve also been adding content to the site over in the Director’s Cut area. You can find information on other races and events I’ve participated in, charities I support via running, resources I use for training and inspiration, and, of course, gear I can’t live without. All that is done, and there’s more to come. In preparation for the eventual permit approval, I will be working on the website for the race itself. I’ll also be working on follow-up posts on starting a business. And to top it all off, doing my final big training push before the 2014 Pine To Palm 100. Stay tuned! This entry was posted in General and tagged race director, update on August 6, 2014 by jdonnell.